Study is a strong word, but I will say that I took a couple of French classes. In the wine industry, I focused on French wine, so I took French in order to pronounce French wines correctly. I came here only knowing things like Bonjour, Merci. So that’s what I felt confident in saying. But, outside of that, no. What were your feelings about learning the French language? It was exciting because everything was new. I had on my rose-colored glasses: everything was great, the sun was shining and the Eiffel Tower was always glistening. I wanted to learn French so I could speak to people. And, of course, accurately order a croissant and get the right food at a restaurant. Q. Did you want to learn right away? I mean, right away. I wanted to be fluent in two weeks. I had completely unrealistic expectations. Q. Not knowing any French, were you able to communicate easily with the French? When I got here, I did a bunch of American things so I used English. I joined the American Expats group, did events and found some of my best friends. It wasn’t hard to communicate because I was speaking to American people and tourists in my native language. But as for using my French in stores and bakeries - I found out I am very good at charades. And that ça is a magic word. The first phrase I learned was Est-ce que vous avez le wifi? My friend taught me and whenever I would go in a restaurant, I would ask for wifi. They would say “ah oui, madame!” and tell me the password. That was the very first full phrase I could say outside of bonjour. I was so proud of that. Q. Where did you take a course when arriving here? Was it helpful? What did you like about it? I came here on a student visa to learn French. I had class at Campus Langue which a lot of people do when they come here. It’s in the 18th and the class was 20 hours per week along with different extracurricular things you could do. I was moving along quite well at first, but then after a while, I plateaued. There was a point where I didn’t get a concept, but they were still building on it and and moving on. I got stuck there. So I stopped taking class and used a private tutor for a while. I liked Campus Langue because of the different activities. You had class for hours everyday, but you could also take these different ateliers - it might be songs, grammar, a special topic like, say, magicians, or it might be an outing to the Opera or a walk along the canal. That part was helpful to me because I got to talk to other people who were learning just like me. I also got to learn about something, out in real life. They also had a pronunciation class that helped me. I learned here, you can say all the words, but if your accent isn’t right, it doesn’t matter. Pronunciation is super key. Q. Do you have any tips for learning French? One tip is to go over things you actually care about. I started getting French wine magazines to read. Now my comprehension is great, but talking about what I read is more of a struggle. I would also suggest conversation groups. Some are organized like speed dating and others play games in both English and French, things like quizzes or word associations. They are fun and get you to start thinking in that mindset and you meet others who are trying to learn a language just like you. The thing that has helped the most is just getting out of the classroom. You have to start speaking to people whether it’s a new friend or striking up at random conversation at the cheese shop or butcher and seeing how you do. Yes. I always say, I haven’t made it until I can call up SFR and completely argue my point and get them to take the random charges off of my bill. Until I can do that, I have not arrived. Do you have the same motivation as when you first arrived? I’m actually more motivated now. French is the missing piece for me. People are excited that there is American with my skill set and knowledge level who wants to do something with French wine. But I think people would be much more willing to work with me if I spoke French. Also, better French would help me with confidence in approaching people for partnerships or meetings. When some of my contacts tell me they speak English, I don’t know what level they are or if they understand everything I’m saying. I want to be at the point where I can have a conversation with the people, where I can completely understand what they are saying. I want to be able to go to conferences and speak in their language. I want to be able to meet them where they are. After being here for a while, I see the possibilities for my business. I’m more motivated now because I have a plan, a vision. I would actually be interested now. When I was here as a student, I had to meet the student requirement, so this wasn’t an option. But now that I’m on here as a professional, with a try-to-make-a-living visa, one-on-one tutoring would help me improve and make me speak. When I first got here, I was invited to dinner by a woman who referred me to teach at a university. We sit down and the waiter brings over the menu. Since I’m new here (in Paris for only 3 weeks), I don’t know all the words on a menu besides poulet and boeuf. Unfortunately, those two weren’t on the menu. But I saw something else. I thought to myself, “Oh wow andouillette, look at that. Like andouille sausage. I’m gonna get it. This will be good.” The dish came out and as the plate came out to the table, something smelled familiar, but I couldn’t put my finger on it. As I cut into it, I looked and realized that this was just chitlins. Andouillette is chitlins stuffed in a sausage. I think I ate two bites. I didn’t want to send it back because I’m with this person who referred me for a job. I think I left there and went to McDonalds. Also, I think almost everyone has an andouillette story. I went to a wine fair in the South of France that was all about wines in the Mediterranean. I went to their press conference where they were talking completely in French. Since I knew the context, I understood a great deal of it which made me proud. I had no idea what I was getting into, but to be there and to be invited to this press conference and understand what they were saying - it was a great experience. My favorite neighborhoods are probably the 5th and 6th. There are wine bars here and I do many of my wine tours in this area. Part of is touristy, but other parts, not so much. I love the wine bars and the different restaurants. I like that you go the same place and people start to recognize you and know what you like to order. It’s a great neighborhood. Thank you to Tanisha! We loved learning about Girl Meets Glass and how French is going to help you make that vision a reality. 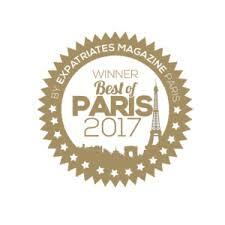 Be sure to check out her wine tours, especially if you have visitors coming to Paris!